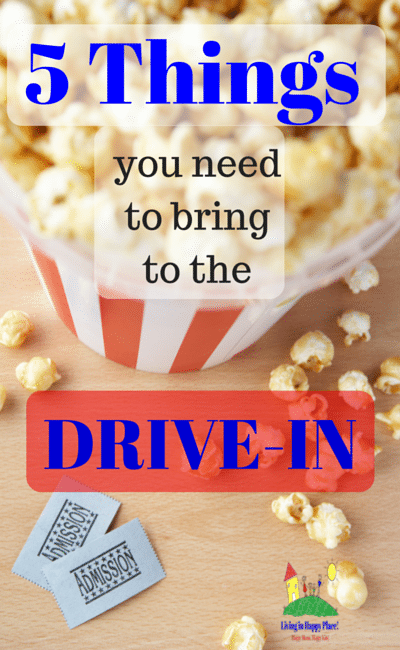 5 Things you probably don't think to bring to the drive-in- but wish you did! Preview: Taking the kids to the drive-in? 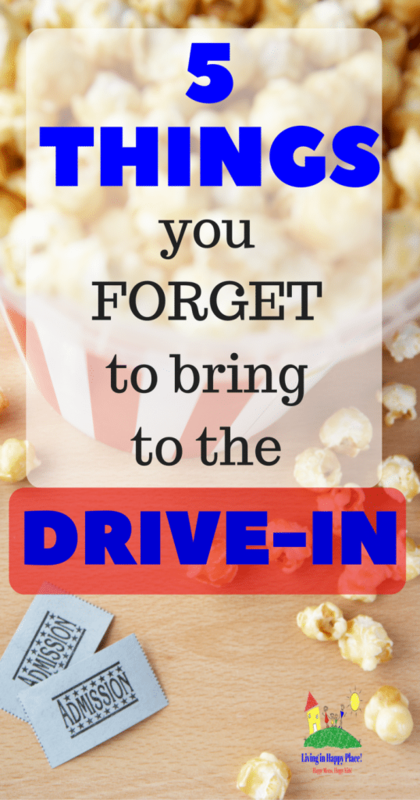 Here are 5 things you probably don’t think to bring to the drive-in (but wish you had)! What should I bring to the drive-in near me? Ah, the drive-in. A great American tradition. According to Wikipedia, drive-ins date all the way back to 1915 but were patented in 1933 and peaked in popularity in the 1950’s-60’s. While the technology has come a long way in 100 years, the concept remains untouched: watching a movie from the “privacy” and “comfort” of you car. I’m not sure how much privacy or comfort you actually get a drive-in, but I do have a couple of tips to make your movie night as enjoyable as possible! After we saw Finding Dory boy, did I learn a LOT taking two kids to the drive-in! Now we are super excited for Incredibles 2!!! It’s been a long 14 years to wait since the first movie, but I think this sequel is going to be another Disney classic soon! Have you seen the girl-power theme? I can’t wait to see what happens! I even pre-ordered the DVD so we are amoung the first to get it! It’s much easier to enjoy your movie when you have everything you need for a comfortable evening. I have put together the ultimte, essentil ist of things to bring to the drive-in and there is even a printable you can grab to help you! If you are super paranoid (like me!) you can even use a small tracking/panic device. Dark, crowds, kids- call me crazy but better safe than sorry. There’s a huge variety of options on Amazon: LINK. Bug Spray– Nothing can ruin movie night like being eaten alive by mosquitos. You will be in the dark with areas of bright light (which attracts bugs) and probably near woods. There will be mosquitos. Grab your favorite kid safe bug spray/insect repellant to throw in the car (this is the one I am using because it has all natural ingredients)! Remember- no open flames at the drive-in so you will have to forego the Citronella candle. I am one of those people who attract mosquitos (lucky me!) 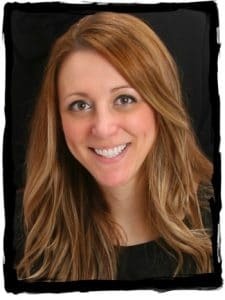 so I have tried LOTS of different products. My favorite spray alternative is the OFF Clip On. It is a small fan-like device that runs on batteries and clips to your clothing. NOTHING TO SPRAY ON!!! It provides head-to-toe protection for up to 12 hours, is whisper quiet, and you can purchase refills to use it over and over. It is my lifesaver and should help keep you from bite-free at the drive-in. Flashlight– Making your way to the restrooms in the dark is like running the gauntlet. You have to dodge trees, people, speaker poles, small children, blankets on the ground, possibly small animals… You just don’t know because you can’t see in the dark. Unless you have night vision, you will want to have a flashlight to make the inevitable trip to the potty. It doesn’t have to be a Maglite either. Something dull but that gives enough light to see the ground will be perfect for safety (both walking safety and not annoying your neighbors). Battery powered candle– This worked great in the back of our SUV. Everyone was able to find their drinks/snacks/shoes with the light of just a battery powered candle. This simple trick avoids having to constantly turn on your interior lights and annoy the movie-watchers around you. A dome light in the middle of a dark parking lot of people trying to watch a movie… can become an issue. Trust me. Garbage Bag– Wow do I wish I wold have thought to bring a trash bag with us! Seems like a silly thing but when your car is full of wrappers and empty bottles… in the dark… at 1:00 am, a trash bag is a nice convenience. It can also come in handy to throw on the ground in case of damp soil or spills. You could even toss your used blankets inside before putting them back in your car. 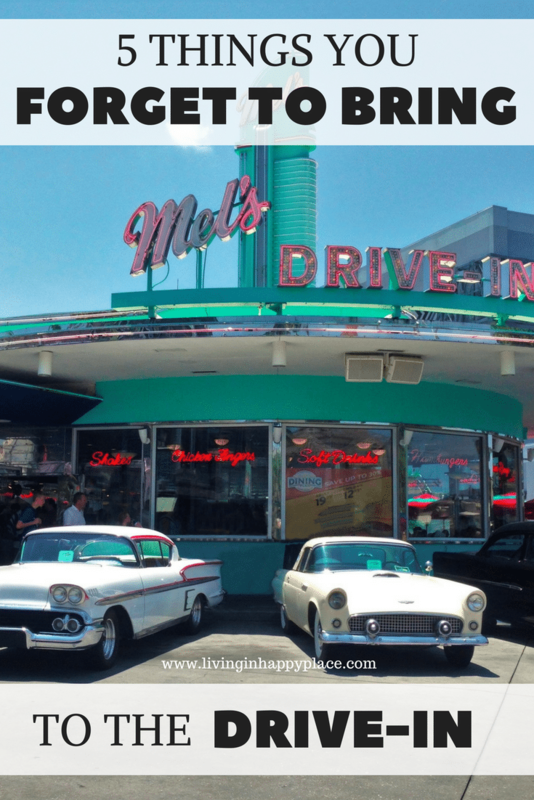 Grab the drive-in essentials printable checklist below so you have everything you need for a successful night at a drive-in movie! 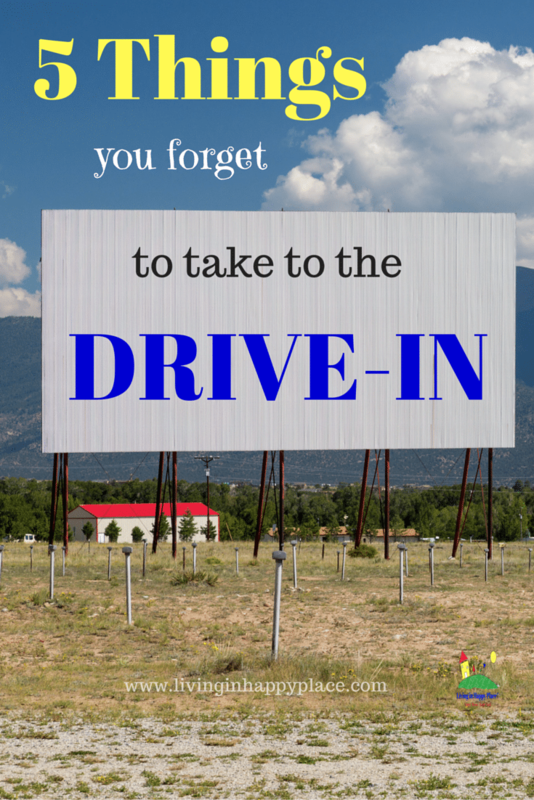 What do you always try to remember to bring to the drive-in?